The festival will be officially opened by patron Mrs Margot Anthony. Beethoven Sonata Opus 57 in F Minor "Appassionata"
For his Tyalgum performance, Gerard will be playing a variety of works from Spain and America, composers including Ponce, Tarrega and York. At the conclusion of this concert, Ron Overs will present a short talk on his 'tone building' philosophy and the design of the Overs grand piano and action. J S Bach Cantata BWV 82 "Ich habe genug"
This energetic six piece band will be playing unique and original music inspired by the vibrance of traditional and modern styles of Southern African music. 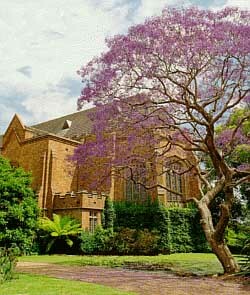 Formed in 1995, the Southern Cross Soloists have established an Australia-wide and international reputation for ground breaking work. Their unique combination of oboe, clarinet, horn, bassoon, piano and soprano facilitates the performance of a variety of works. The SCS features six leading Australian musicians. Director and clarinettist Paul Dean and bassoonist Leesa Dean are former Principal players with the Queensland Orchestra. Oboist Tania Frazer is currently on leave from the Israel Opera Orchestra. 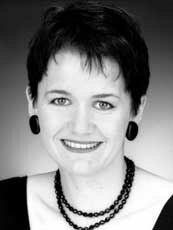 Lyric soprano Margaret Schindler and horn player Peter Luff are lecturers at the Queensland Conservatorium whilst pianist Kevin Power pursues a busy freelance career and is Chorus Master of the Queensland State and Municipal Choir. This Sydney farewell concert will be held just prior to Mark Isaacs' departure for a 5-week tour of USA, Europe and Asia (please go to the media release link below for information on the tour). ABC Classic FM will be recording this performance of Jazz standards for delayed broadcast and possible CD release. For this performance, Mark will be exploring the jazz standards repertoire in a solo piano context. It is a pleasure to be supplying our new Australian made grand piano no. 003 for this farwell Sydney concert featuring MARK ISAACS. The Side On has developed a reputation in Sydney for presenting some of the City's finest live jazz performances. Overs Pianos is priviledged to be playing a part in making this night a memorable event. We look forward to you joining us for this special jazz performance with our latest piano. Ron Overs, June 19, 2002. I am delighted to be supplying our new Australian made grand piano no. 003 for this concert featuring three outstanding Australian musicians, David Bollard, Jane Edwards and David Hamilton. With the favourable acoustics of the Trinity Chapel, I am expecting this to be a memorable music event. Ron Overs, May 15, 2002. Ménage à Trois is Australia's leading vocal recital attraction combining the talents of concert and recording star soprano Jane Edwards, renowned concert and operatic tenor David Hamilton and master accompanist David Bollard. Their interpretation of chansons, lieder and Australian art song has been acclaimed in metropolitan and country Australia for the past three years. Truly the outstanding interpreters of song in this part of the world. Pianists Eduard and Johannes Kutrowatz and Ruth Gabrielli, soprano. This session will complete the recording of a new Janet Seidel album. Earlier sessions were recorded at Megaphon Studios, St Peters, using the Overs Pianos rebuilt Baldwin SD-10 concert piano. In the second hour of the show (between 11.00 - 12.00 am) Michael Brimer will perform live from Studio 227 on the Overs no. 003 grand piano. Ray Charles in concert - presented by Adrian Bohm Presents. Ray will play the new Overs 225 grand piano no. 003 for his Wyndham Estate performance. Enjoy one of the world's greatest entertainers playing one of the world's greatest pianos, under the stars in the picturesque setting of the Hunter Valley. Commencing at noon; food and wine fair and pre-show entertainment. Wyndham Estate is open from 10am daily. Gates to the concert Amphitheatre on the estate open at 4pm, with the concert commencing at approximately 8pm. Please arrive early to avoid traffic and parking congestion. For the unreserved grassed area please bring a rug or cushion, sun-hat and insect repellent. All photography, video and audio recording is prohibited. Cameras/recording devices will not be permitted within the venue. Ph. (02) 9736 2332 or email for further information We are also pleased to announce that the ABC will be recording this concert for future broadcast. Mike is taking his trio and our piano no. 003 into the studio for four recording days. Information on the CD and where to get it will become available on this website. Quoting from the Sydney Festival's 'Angel Exchange' web page, this is . . . "One event not to be missed is the final late night concert featuring Messiaen's Quartet for the End of Time, performed by the Sydney Soloists with David Malouf reading excerpts from An Imaginary Life". Piano: David Bollard Performing on the Overs-Steinbach 225 grand piano no. 003. This is a free public concert. Please be seated at least ten minutes prior to the commencment of this broadcast at 3.00 pm. 'Twas within a Furlong of Edinborough Town anon. - Whither must I wander? 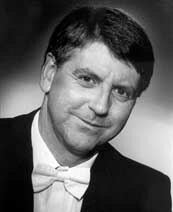 David Bollard former member of the Australia Ensemble and now busy freelance pianist accompanies tenor David Hamilton. ". 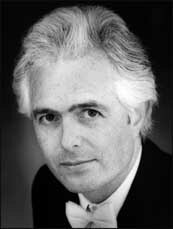 . . probably the best Mozart tenor in Australia". - - The Sun Herald. A unique performance inspired by the best-selling novel An Equal Music by Vikram Seth with readings from the novel linking the music featured in the book and CD. An Equal Music is about the passion and dedication of classical musicians. It is a haunting story of a love lost, regained, then lost forever. This will be the first public concert featuring the new Overs-Steinbach 225 grand piano no. 003. David Bollard, one of Australia's leading pianists will be performing with international violin virtuoso Jack Glatzer. Special guest narrator, and star of film & TV - Bruce Spence.